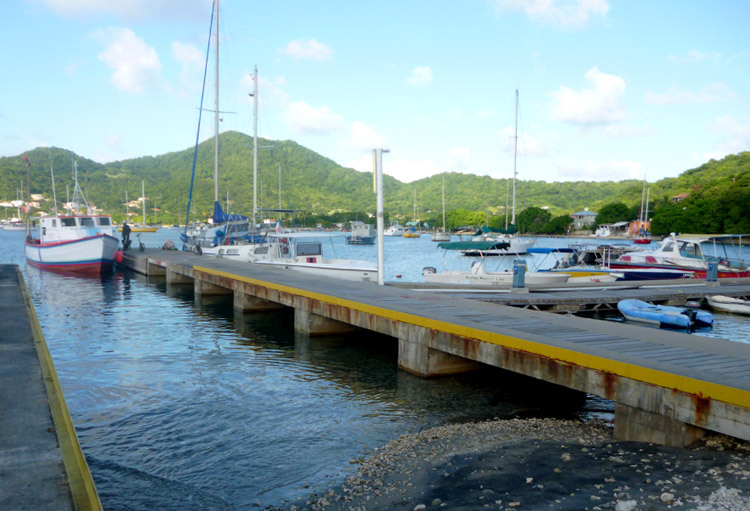 ﻿ Your first time visit to Carriacou as a tourist. 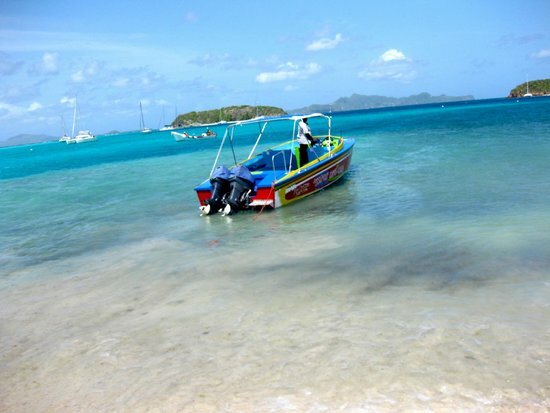 Your first time visit to Carriacou as a tourist. 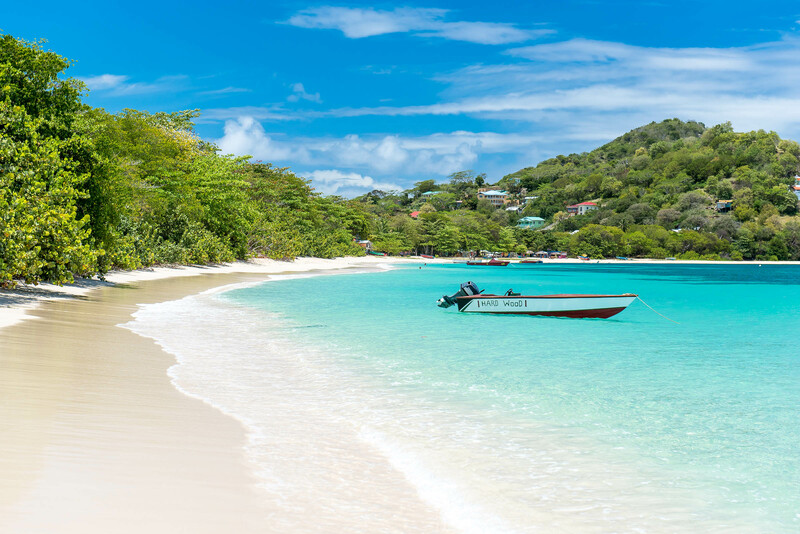 Visiting Carriacou means a calm relaxed vacation in true friendly Caribbean vibes. No fancy entertainment for tourists but relaxing in paradise instead. 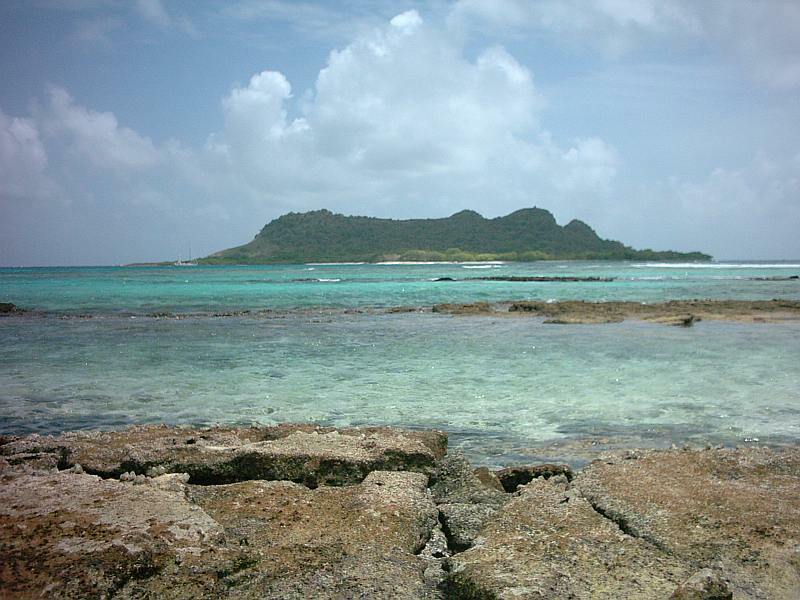 Guides » Carriacou tourism, visiting the isle of reefs. 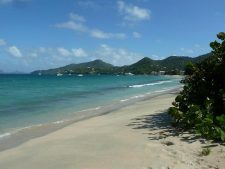 Carriacou tourism, visiting the isle of reefs. 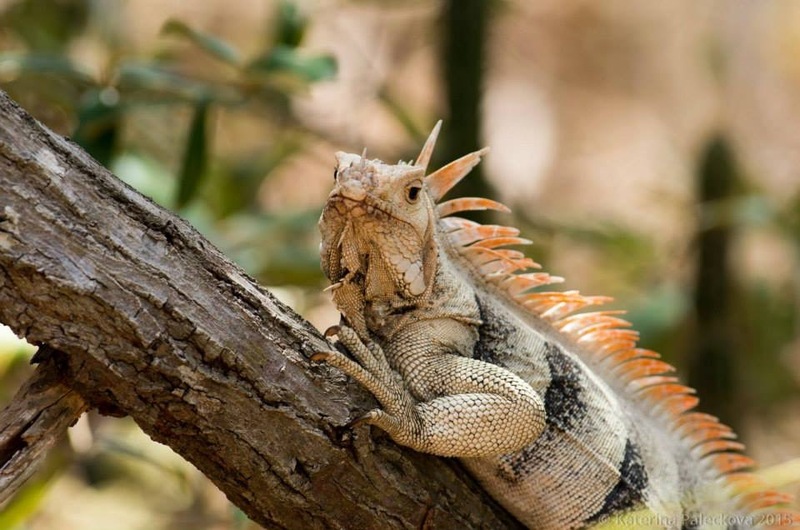 Information for the first time visitor of Carriacou. You’ll like it a lot, but it is not for everybody’s taste. How right my friends were. Indeed , I love the Island, the scenery and its people. 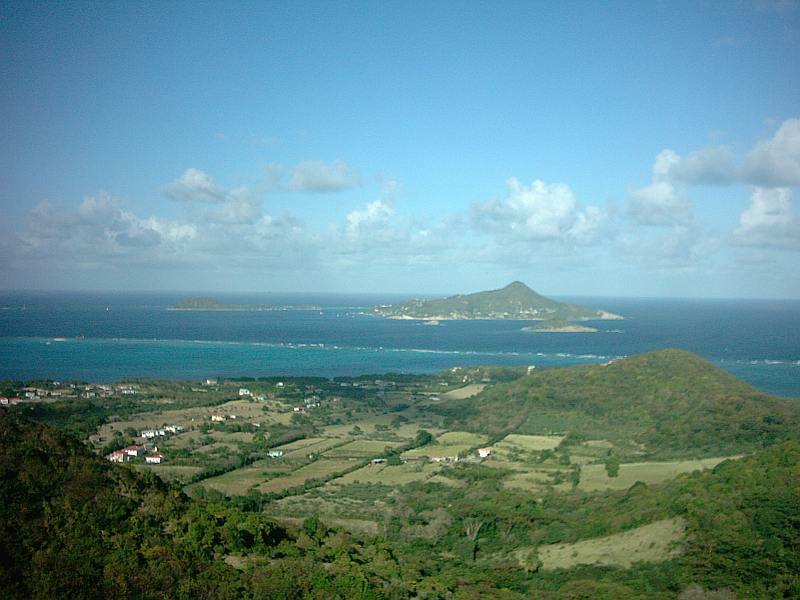 But it should allso be very clear that the average tourist will miss a lot of conveniences on Carriacou. 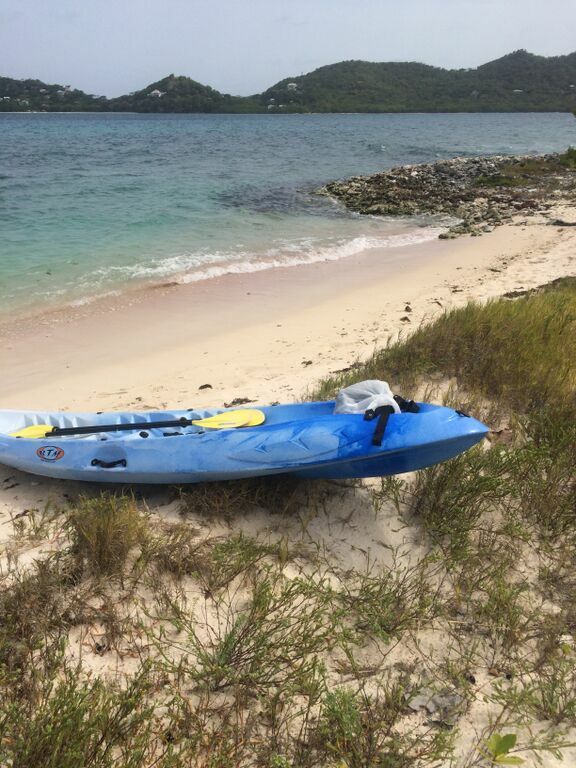 There are no casinos or nightclubs here, and you will search in vain for an inflateable banana behind a speedboat. Jetski’s I have never seen here, and I hope they will not reach the island for many years. What can you expect on this little island? 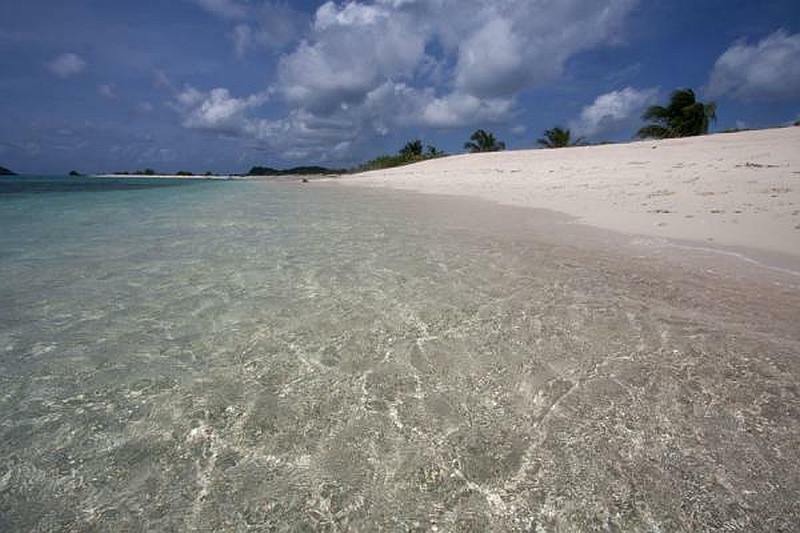 Well, it depends of what you enjoy doing, but basically the Island is ideal for the ” alternative ” type of tourist. Most of the time you have the beaches of Carriacou for yourself. Backpackers and adventurers will have a great time. If you enjoyed the sixties, visited woodstock and were a member of hare krishna, this is the place for you. Someone who enjoys or has enjoyed hitchhiking and meet local people will have a blast of a time. 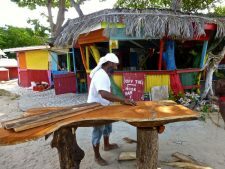 Carriacou is mainly about living the true Caribbean atmosphere, without all the disadvantages so often encountered on other islands. Here you will not get hassled by street or beach vendors. It is no problem at all walking on the beach or the streets in the middle of the night. 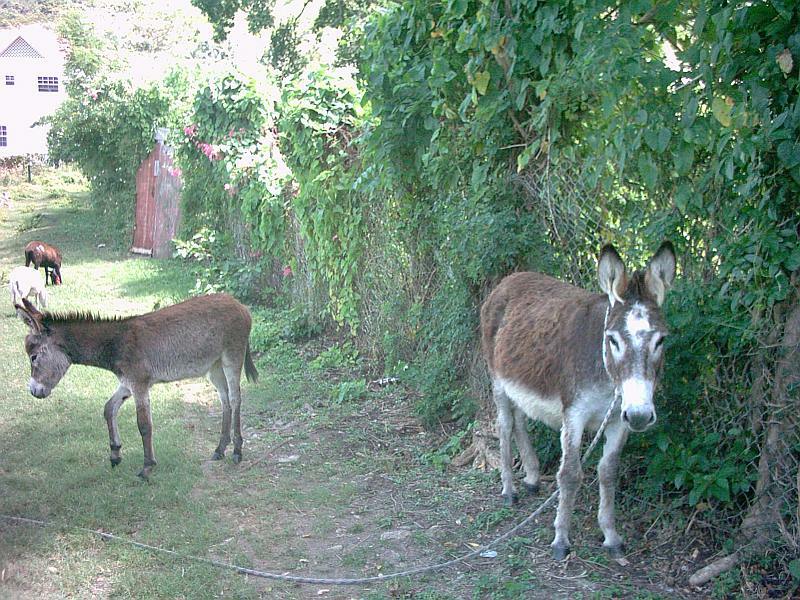 Once a year there is a donkey race on Carriacou. You might have an encounter with a goat or a cow, the animals usually roam free over the island. Everybody knows which animal belongs to whom. 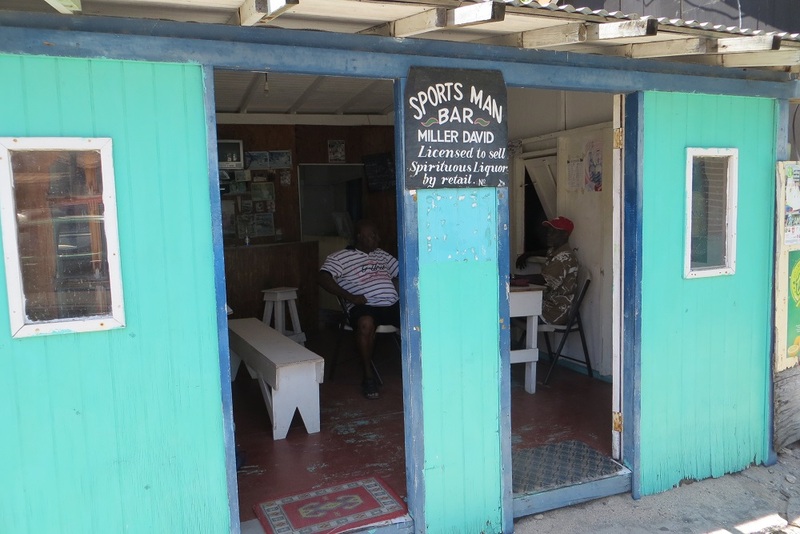 There is still a good social control on Carriacou. Most people are somehow related to each other, the Islands population is basically one large family. 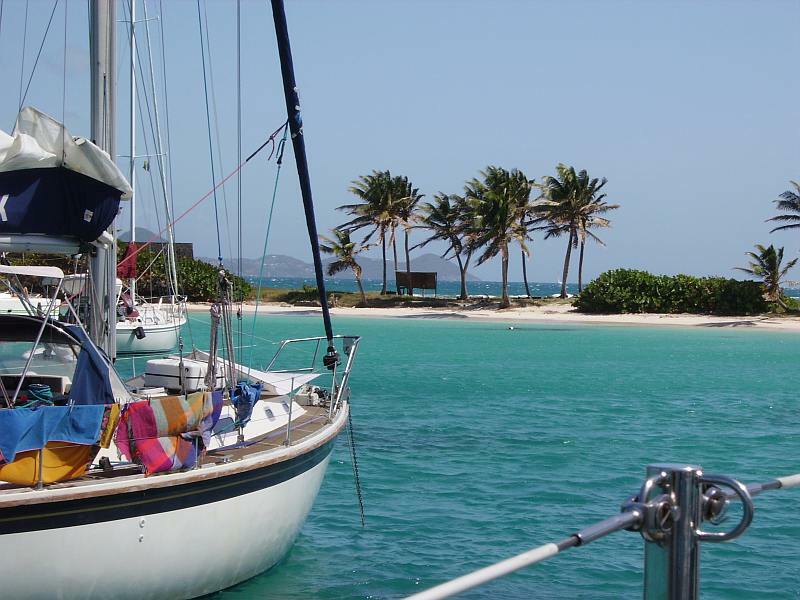 Anchored sailboats in the Tobago Cays. 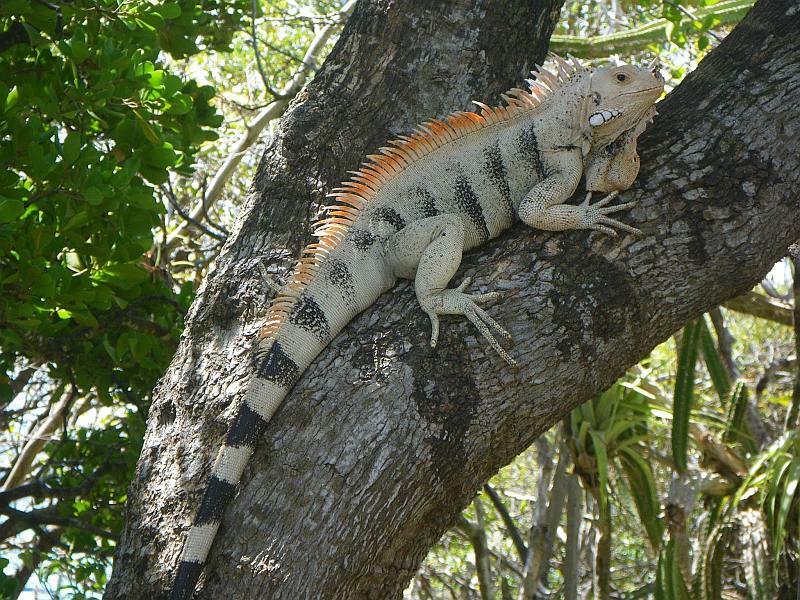 Iguana on the Tobago Cays. 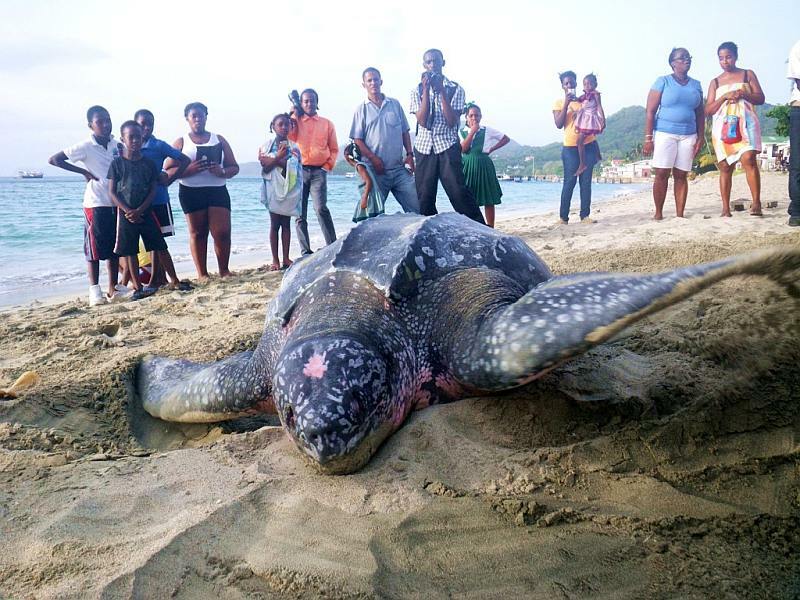 A leatherback turtle covering its eggs. 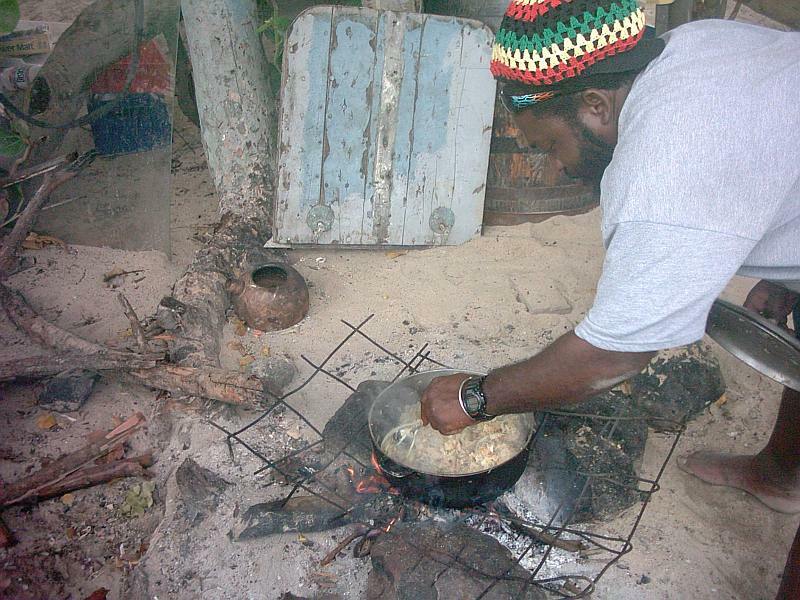 Local cooks preparing fish broth. 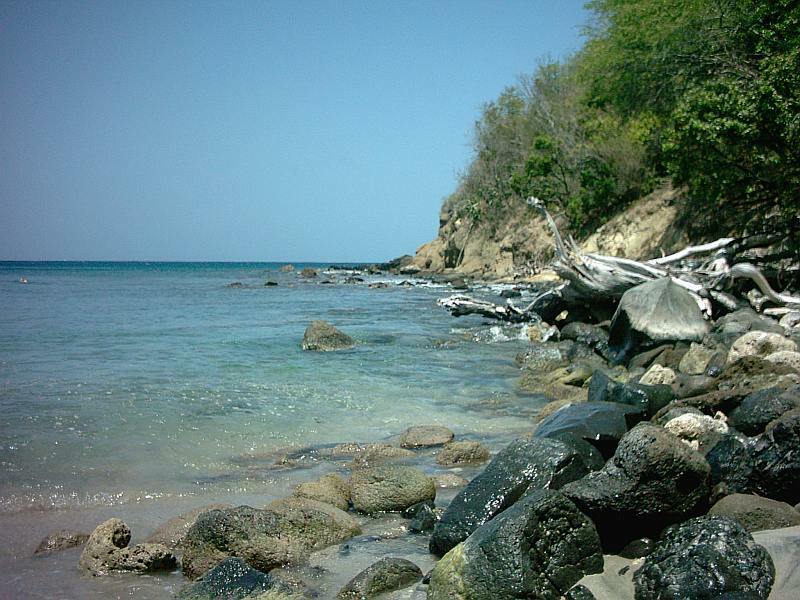 Right hand side of Anse La Roche beach. 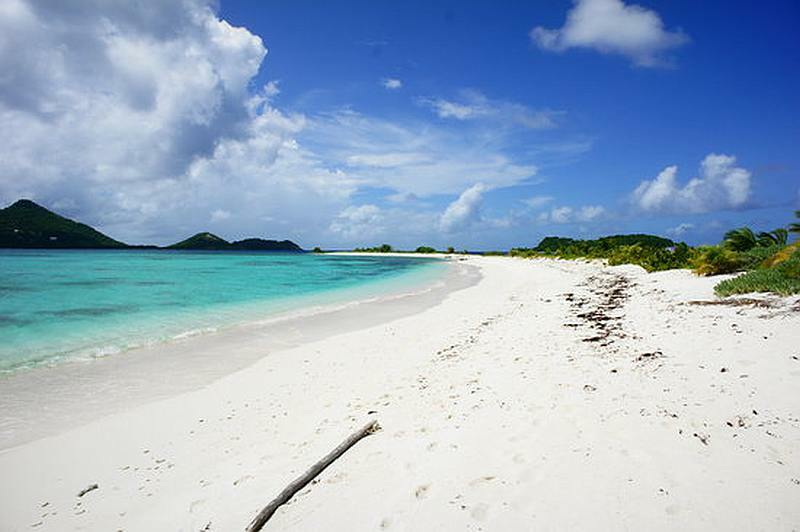 South of Paradise beach on Carriacou. 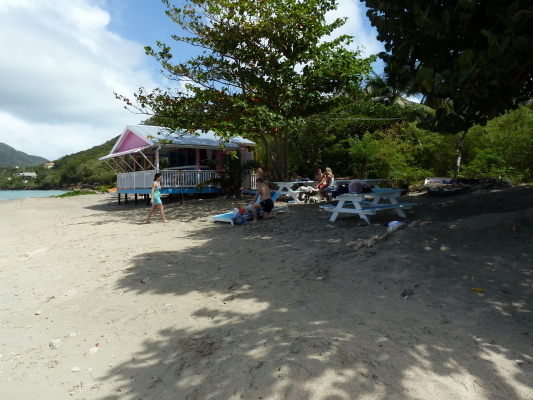 Banana Jo bar on paradise beach. Give a smile, and you will receive two smiles. 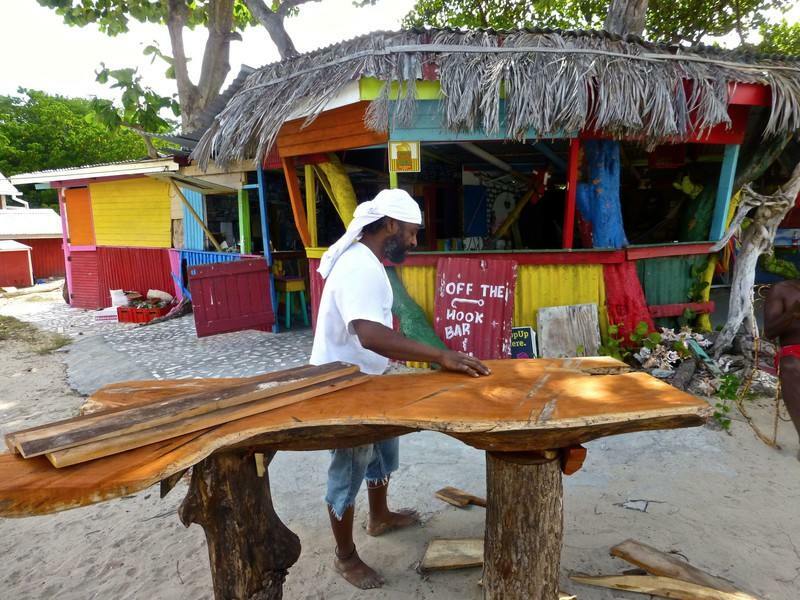 In the rumshops you will easily make new friends, a glass of punch usually gets some great conversations going. 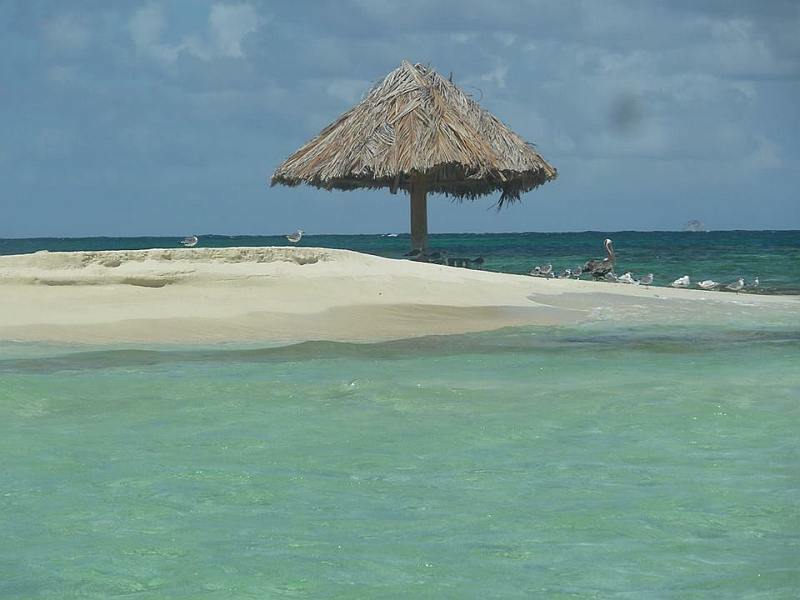 The island is definitely not for those who have a craving for luxury and hedonism. If you enjoy places like Cancun , Rio, Brighton or Benidorm and Ibiza in Spain, you will have the most boring holidays of your life. If , on the other hand , you are like me, enjoy relaxing in a hammock below some palm trees. 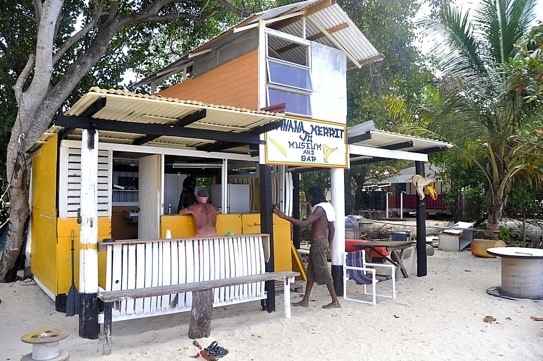 Sample the various rums while chatting with the islanders, this could the place for you. 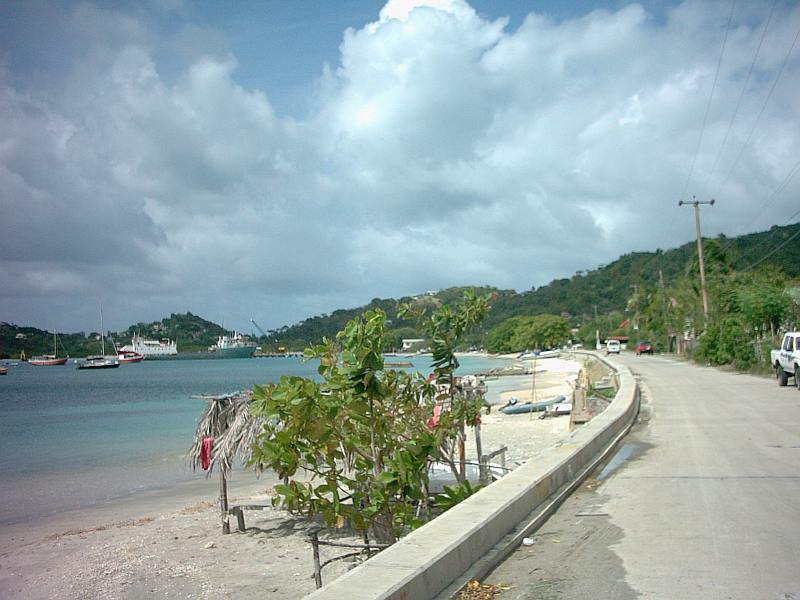 The road along Tyrell Bay. 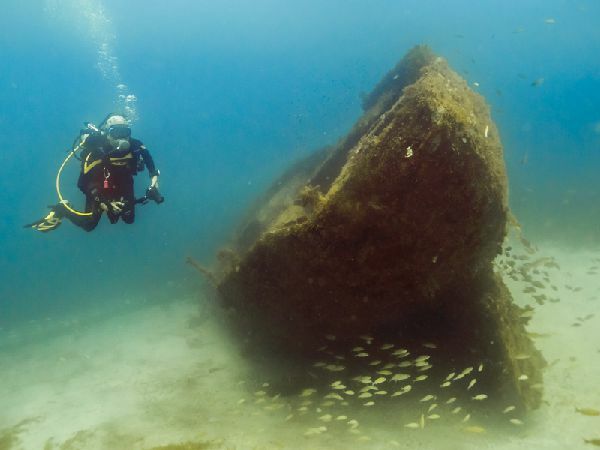 Carriacou is fantastic for wreck diving, many wrecks around the island. 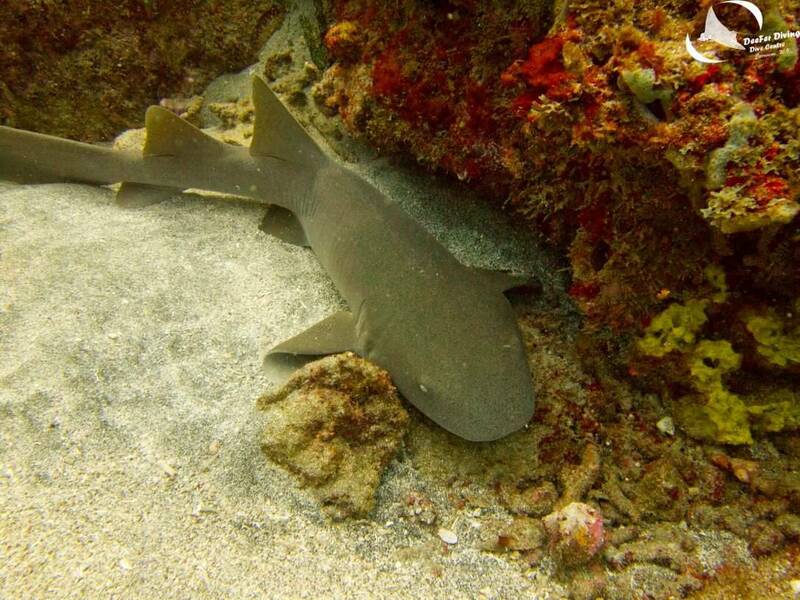 Small sharks are very common in the reefs around Carriacou. 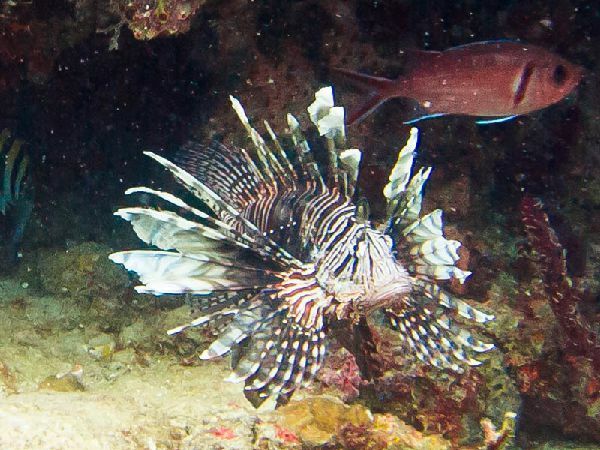 Lionfish are predators causing destruction among other fish populations. 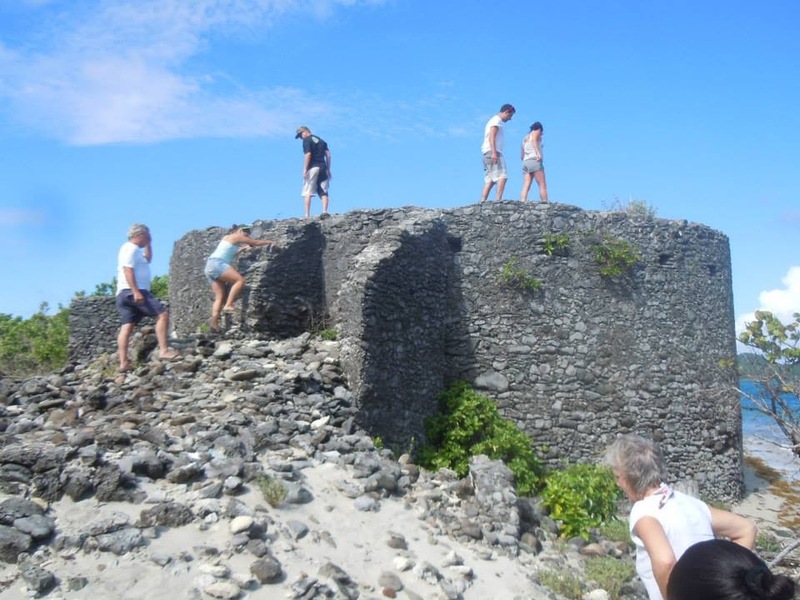 Previous: In Tibeau is the Ningo Well. 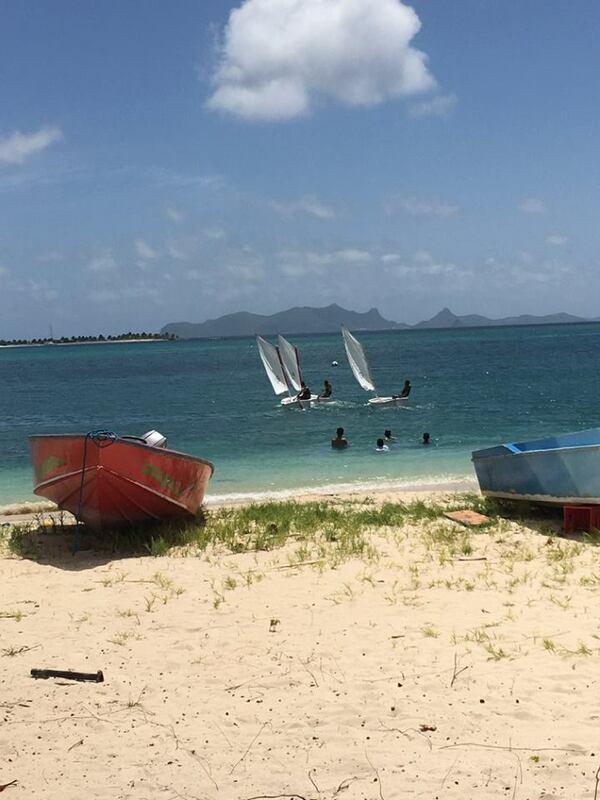 Next: Sailing in the Grenadines.